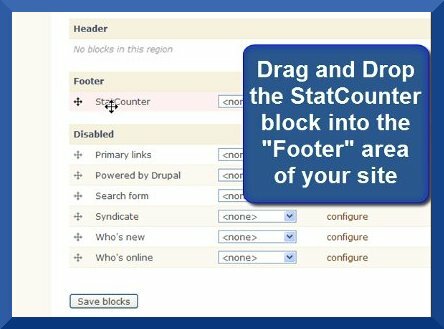 StatCounter provides free customisable hit counters, visitor tracking, web analytics and website stats for Drupal. Module Version: There is also an official drupal module available for StatCounter installation. 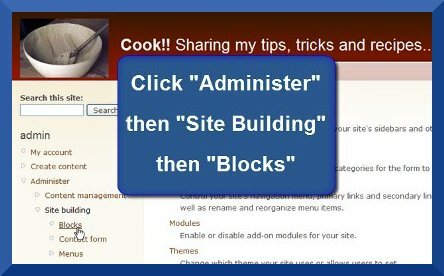 Under the "Admin" menu, click "Administer" then "Site Building" then "Blocks". Enter "StatCounter" as the "Block Description" and paste your StatCounter code into the "Block Body". 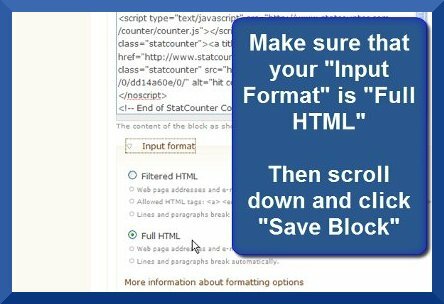 Make sure that your "Input Format" is "Full HTML" then scroll to the end of the page and click "Save Block". 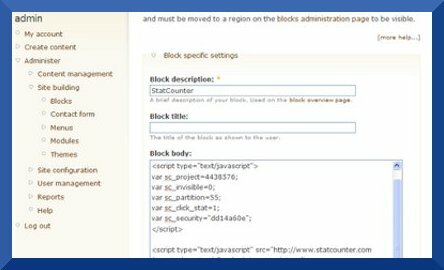 Now that you have created a StatCounter Block, you need to add the block to the footer area of your website. Scroll down the page to locate your new StatCounter Block. Drag and Drop the StatCounter Block into the "footer" section. 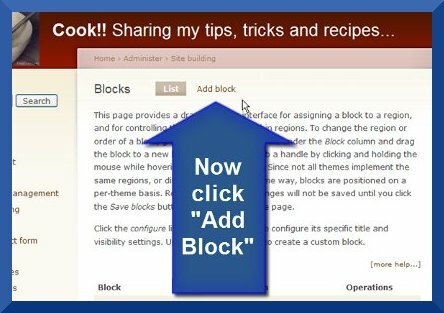 Click "Save Blocks" and that's it! 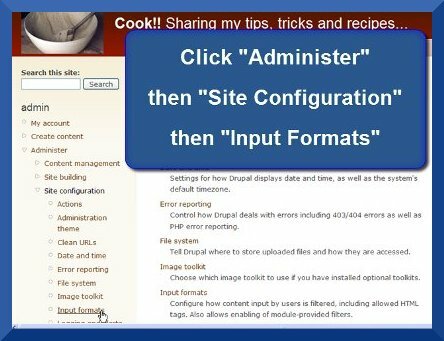 Under the "Admin" menu, click "Administer" then "Site Configuration" then "Input Formats". 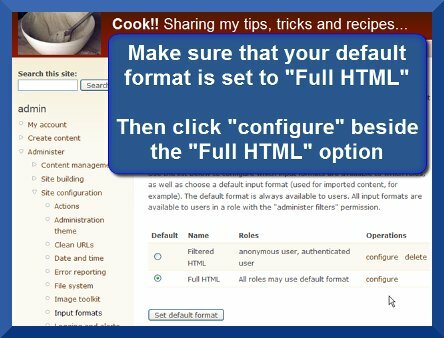 Make sure that your default format is set to "Full HTML" then click "configure" beside the Full HTML option. 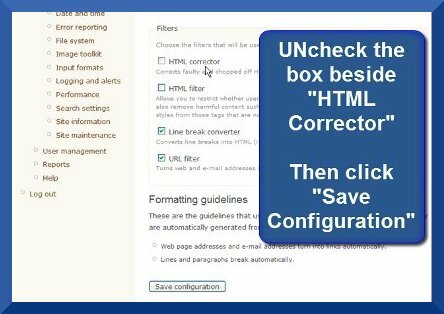 UNcheck the box beside "HTML Corrector" then click "Save Configuration". Your StatCounter should now be correctly displayed on your site.